*John Barfield Davis was born June 15,1919 in Letcher County Kentucky to Blanche Maxine Salyer Davis and Karl Ellis Davis. 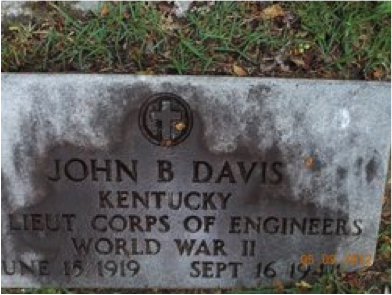 He lived with his brother Karl E. Davis Jr. in Corbin Kentucky. ** He attended Corbin High School for three years and played on the football team. ***"He began his service in October 1941 at Camp Walters, Texas in the U.S. Army. He was appointed by the Trainee Corporal, Company D, 52nd Infantry Training Battalion. From there he was sent to Hawaii and served 14 months in the South Pacific. He graduated from the Ft. Belvoir, Virginia Training School for for engineers in March, 1943. From there he was transferred as 2nd Lieutenant to Ft. Lewis, Washington. As a part of the 254th Engineering Battalion, Company C. John's European service lasted from September through October of 1943 and consisted of constructing an assault training center in the sand dunes on the west Atlantic Coast of Cornwall. His battalion participated in the D-Day invasion of Normandy, supporting the initial landings by clearing mines, repairing damaged roads, and building bridges. The 254th played an active role throughout France and were one of the first units to enter Paris. On July 16, 1944, the order came down for the Battalion to reorganize as Infantry and take part in the Battle of Saint Lo. 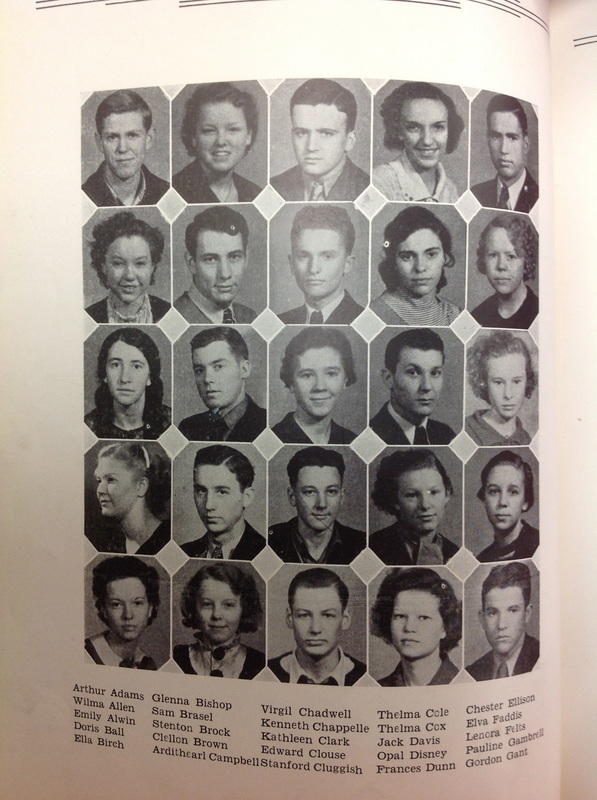 John was promoted to 1st lieutenant in August of 1944. On September 11, 1944 the 254th became one of the first American Units to reach German soil. He was wounded on September 16, 1944, in Belgium while on a Reconnaissance patrol when his group ran into a strong pocket of resistance. He was evacuated by an armored vehicle but died of his wounds. He was buried at U.S. military cemetery #1, Fosse, Belgium, but his body was returned to his home in Kentucky in the spring of 1949." He is now buried in the Sandlick cemetery in Whitesburg Kentucky.